Second phase of the Krosmaster World Championship: a double elimination tournament. 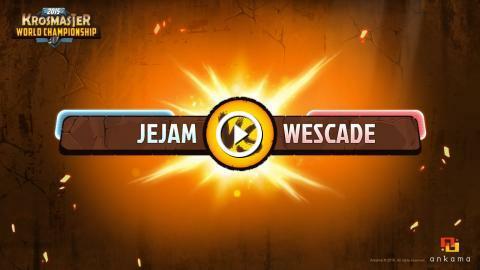 This match is the loser bracket second round, opposing Jejam (France) to Wescade (France). Whoever loses will leave the tournament! On March 21st and 22nd, 2015, players from five different countries went to the Ankama office in Roubaix (France) to compete in the Krosmaster World Championship 2015. The most important matches were streamed live on our Twitch channel: http://www.twitch.tv/krosmaster_ankama. In addition to the tournament, players could also participate in draft tournaments, demonstrations, and see different board game prototypes. I GOT THE WORLDS FIRST EVER FIFA 18 PRANK! WHAT IF MINECRAFT WORLDS WERE ONLY LIKE THIS?